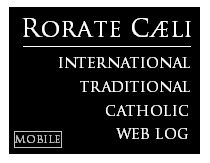 RORATE CÆLI: Blessed John Henry Newman: "I have resisted to the best of my powers the spirit of liberalism in religion." 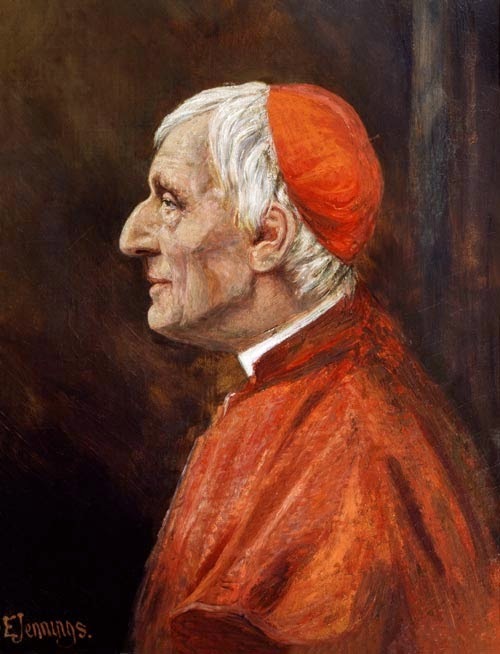 We cannot let the celebration of the day in which the memory of Blessed John Henry Newman is particularly remembered go by without recalling his remarkable prescience about the current condition of Western culture and the current situation in the Church, a situation that is itself a continuation of the troubled years since the Second Vatican Council. The great irony—and Newman always understood irony—is that he has been invoked as the “absent Father” of that Council with respect to the role of the laity in the Church, religious freedom, and collegiality. Those who invoke him in this way have obviously never read much Newman, for he would understand that the Church today is in the parlous state in which she finds herself precisely because those to whom her ministry has been entrusted have swallowed and digested that noxious weed decried by Newman and are patting their stomachs in self-congratulation, having succumbed to that “liberalism in religion” whose heart is what Newman called the “anti-dogmatic principle”. One can never read Newman’s Bigletto Speech too many times. This was in a sense his last will and testament, for he who had been shunned in so many ways by the Catholic hierarchy throughout his Catholic life was given the honor of a Cardinal’s hat in the twilight of his life, and what he said in his acceptance of that honor from Pope Leo XIII, is chillingly prescient. And this not only with reference to the current situation of the Church. Newman knew as few today understand that the creeping papalism of the past century has been and is being enabled not by traditionalism but rather by liberalism. Here is the voice of the prophet for our times from his Bigletto speech. In a long course of years I have made many mistakes. I have nothing of that high perfection which belongs to the writings of Saints, viz., that error cannot be found in them; but what I trust that I may claim all through what I have written, is this,—an honest intention, an absence of private ends, a temper of obedience, a willingness to be corrected, a dread of error, a desire to serve Holy Church, and, through Divine mercy, a fair measure of success. And, I rejoice to say, to one great mischief I have from the first opposed myself. For thirty, forty, fifty years I have resisted to the best of my powers the spirit of liberalism in religion. Never did Holy Church need champions against it more sorely than now, when, alas! it is an error overspreading, as a snare, the whole earth; and on this great occasion, when it is natural for one who is in my place to look out upon the world, and upon Holy Church as in it, and upon her future, it will not, I hope, be considered out of place, if I renew the protest against it which I have made so often…. Liberalism in religion is the doctrine that there is no positive truth in religion, but that one creed is as good as another, and this is the teaching which is gaining substance and force daily. It is inconsistent with any recognition of any religion, as true. It teaches that all are to be tolerated, for all are matters of opinion. Revealed religion is not a truth, but a sentiment and a taste; not an objective fact, not miraculous; and it is the right of each individual to make it say just what strikes his fancy… Such is the state of things in England, and it is well that it should be realised by all of us; but it must not be supposed for a moment that I am afraid of it. I lament it deeply, because I foresee that it may be the ruin of many souls; but I have no fear at all that it really can do aught of serious harm to the Word of God, to Holy Church, to our Almighty King, the Lion of the tribe of Judah, Faithful and True, or to His Vicar on earth. Christianity has been too often in what seemed deadly peril, that we should fear for it any new trial now. So far is certain; on the other hand, what is uncertain, and in these great contests commonly is uncertain, and what is commonly a great surprise, when it is witnessed, is the particular mode by which, in the event, Providence rescues and saves His elect inheritance. Sometimes our enemy is turned into a friend; sometimes he is despoiled of that special virulence of evil which was so threatening; sometimes he falls to pieces of himself; sometimes he does just so much as is beneficial, and then is removed. 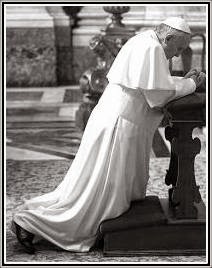 Commonly the Church has nothing more to do than to go on in her own proper duties, in confidence and peace; to stand still and to see the salvation of God.